The unique PR-216 Option P7 high fidelity receiver is perfect for use as a "piggyback" receiver on powered speakers for remote speaker linkups and for field "point-to-point" RF links. This option makes it easy to achieve convenient speaker placement and on-location remote audio feeds without the need to run speaker cables. The MBS-216 Mounting Bracket Stand and VMB-216 Velcro Mounting Bracket can also be used for optimal receiver placement. 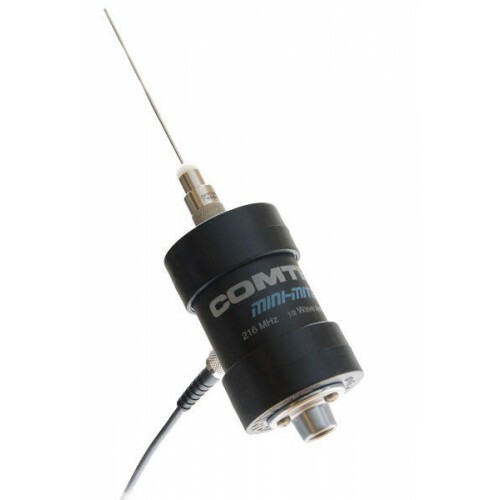 The PR-216 Option P7 receiver includes a BNC antenna connector with short whip antenna and line level audio output. The output level is fully adjustable up to +15 dB. 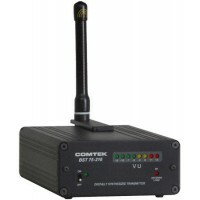 The receiver can be battery powered or phantom powered through the audio output jack. 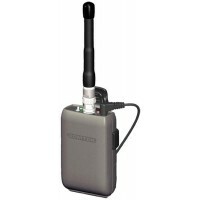 Offering dependable and clean RF reception, the operating range with the M-216 Option P7 transmitter is up to 500 ft.; and with the BST-25/216 base station transmitter, the operating range is greater than 1000 ft.